Baseball…You’re on the clock. For the first time ever a professional baseball game will be played with a time limit. The Independent San Rafael Pacifics of the Pacific Association will make history on August 7 against the Vallejo Admirals when their game will be played with a time limit of two hours and 30 minutes. There has been plenty of talk around speeding up the games for the benefits of the fans. One of the first examples of this was used by the SEC in 2010 when they used a 20-second play clock and a 90-second play clock. Most recently, the Atlantic League modified their strike zone and later even experimented with a three-ball walk and two-strike foul out approach to speed up games. The Pacific Association is no stranger to shaking up the current state of the (their) game. The Sonoma Stompers have been featured in the Wall Street Journal. 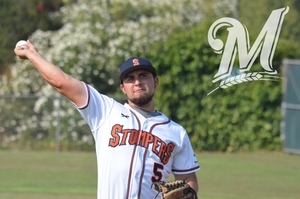 The Stompers enabled two writers with backgrounds in statistics to run the team (strategy, field position, and sign players). There really wasn’t a way to determine if they were successful until a relative unknown, unsigned and undrafted pitcher signed with the Stompers. Santos Saldivar performed admirably for Sonoma (2-1, 2.05) and eventually signed a minor league contract with the Milwaukee Brewers. The Stompers also have/had three women on the team. Stacy Piango and Kelsie Whitmore, were later joined by Anna Kimbrell, a member of Team USA’s women’s team since 2006, to play with the club earlier this year. Kimbrell and Whitmore became the first all-female battery in professional baseball history when Kimbrell caught Whitmore for two innings. You know you’re really thinking outside the box when you start tinkering with a game that’s been around since the late 1800’s. An exercise of this magnitude will put chills in the hearts of baseball purists everywhere. Even the manager of the Pacific’s thinks this a bad idea! The idea of a game clock continues to be the most recurring argument after all these years, however a brand new slew of ideas are coming to light from this experiment. Pitchers will have 20 seconds from their last pitch to the next pitch. If the pitcher exceeds that time limit, the batter will receive a ball. The batter must remain in the batter’s box during that time. If, in the plate umpire’s opinion, the batter is at fault for the pitch time limit to be exceeded, the batter will receive a strike. Between innings, the first pitch of the inning must be thrown within two minutes of the last pitch of the prior inning. 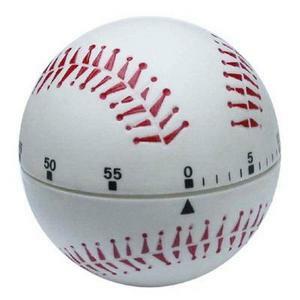 The pitcher will be assessed with a ball if he exceeds the time limit. At the conclusion of the running 2:30 game clock, it will be the last inning of play. If the home team is in the lead, the visiting team shall complete its time at bat. If the visiting team is in the lead, the home team may finish its time at bat. The umpire will record the start time and once the two hours and 30 minutes is up, no inning shall begin, except in the case of a tie. Innings that are in process when the time limit is reached will be completed as necessary. If the game ends in a tie, the international tie-breaker rules shall be in effect such that each manager will select two consecutive batters from anywhere in their respective lineups to start the playoff inning on first and second base. The next batter in the lineup would then be the batter that starts the inning at the plate. Once those players/runners are determined for the playoff inning, the order of any subsequent innings will be determined by how the previous inning ended. For example, if the first playoff inning ends with the No. 6 hitter having the last official at bat, then the following inning begins with the No. 7 hitter at bat, and then the No. 5 hitter at second base and the No. 6 hitter at first base. The inning will otherwise proceed as usual, with each team getting a turn at bat. Should the player starting the inning on second base eventually score, it will count in the statistics as a run for the player and an RBI for the batter who drove him in (if applicable), but will not count towards the pitcher’s earned-run average. This will continue so forth and so on until a winner is determined. Both visiting and home teams will have an opportunity to bat in the playoff innings. A timed game will never ever make it to Major League Baseball, too many factors (financial) will work against it, but it’s not out of the question that some of this will stick. 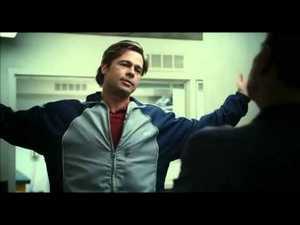 Brad Pitt in Moneyball said it best, “Adapt or Die”. Everything changes. It doesn’t mean the entire game changes, but a great deal of variety is not a bad thing. The forward pass was once illegal, Arena Football is mainstream, the designated hitter was allowed and the height of the pitching mound was altered…Heck, MLB even extended the season to 162 games altering the record books forever. I’m pretty confident, actually 100 percent confident baseball will never have a time limit, but as time goes by and people want something new, nothing is out of the question.